“A general who became a slave. A slave who became a gladiator. A gladiator who defied an emperor.” Commodus once said. As in old Roman Arena also in Journey Online Arena … anything can happen! So be very careful! 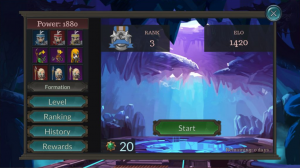 In Journey Online the Arena gives players the possibility to test their mettle against other player opponents in real time. It creates a competitive environment where players can scale a ladder to go to the top. Each month the ladder resets and Arena is restarted on the 1st of the month. 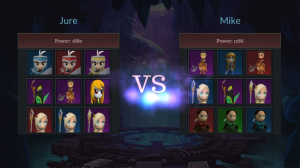 The battles in Arena are 1vs1 where players try to defeat each other. The victor of the battle receives a reward for defeating his opponent (Recruit tickets, Gold, Honor, and some other rare items that are only found in the arena) and his ELO increases while the defeated player receive no reward and instead drops his ELO. The higher the ELO the tougher the opponents will be. Every day each player receives 20 (up to a max 20) arena tokens. 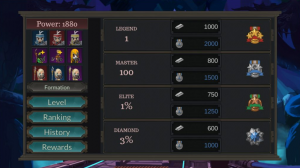 A token is required to start an Arena battle. Tokens are reseted at midnight server time.